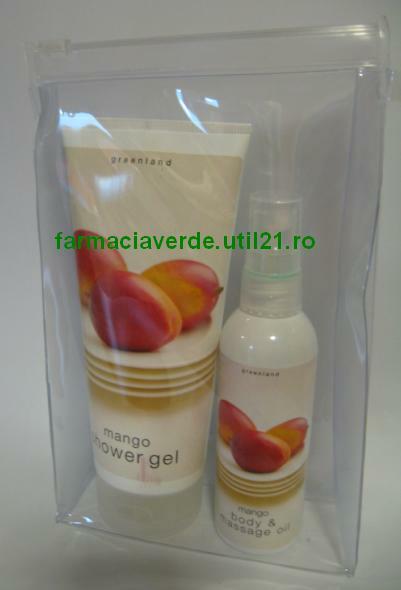 Geanta este compusa dintr-un gel de dus 200 ml si ulei corp si masaj 100 ml, pe baza de extracte de mango. 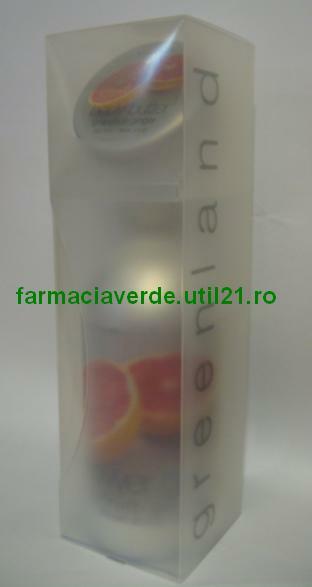 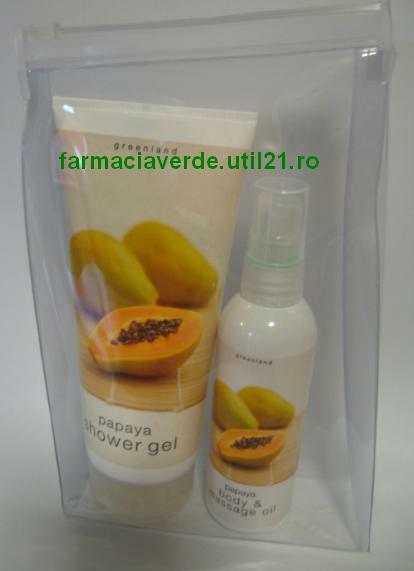 Uleiul de mango contine de asemenea, ulei pur de Migdale dulci, ulei de Macadamia si vitamina E.
Gift set cosmetic bags, mango shower gel 200 ml and 100 ml oil body massage and natural cosmetics Greenland gift bag category is composed of a 200 ml shower gel and body and massage oil 100 ml, based on extracts of mango. 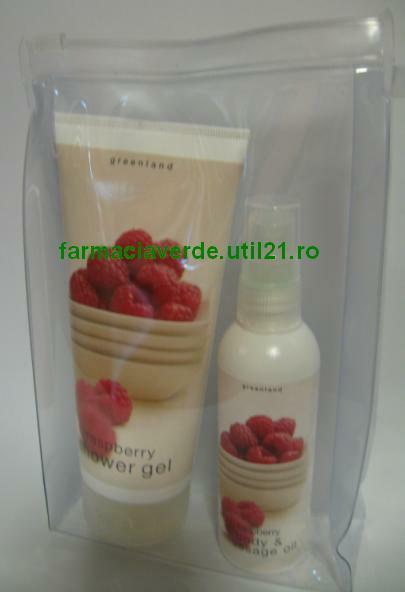 shower gel is very soft, gentle to the skin and is pH neutral. 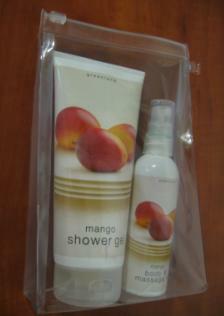 mango oil also contains pure sweet almond oil, oilMacadamia and vitamin E. The product is ideal for normal to dry skin and can be used daily.